This office has a beautiful panoramic view of the City of Queretaro. It is the perfect office to impress your clients and schedule a meeting at this office as it is a luxury executive environment. This office is strategically located on one of the main areas of Querétaro: South Center, which has easy access from anywhere in the city. This office grants users an incredible view, cutting-edge technology, reliability and productivity. If you are a fan of reading this office is located near Librerías Gandhi where you can go after work and read a book in order to learn more or just to relax with a great book after work. This office is also located near Unidad Deportiva Queretaro 2000 where you can exercise outside in nature instead of a regular gym. There is also many shopping centers nearby where you can go and buy a small gift to your new client to build a relationship. Situated in a strategic area for easy access to both private and public transport, this complex integrates luxury and comfort. 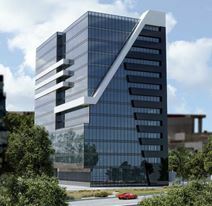 Clients have access to excellent amenities such as meeting rooms, coffee station, lavish reception and more. This office has a beautiful terrace where you can take your clients to close a deal or just to take them to see the beautiful view this office has to offer. This office is also walking distance to parks where you can go for a walk or a run after a hard day at work. You can find your office with glass walls to maintain natural light without sacrificing privacy. There are different atmosphere in this building, so that you and your team can feel inspired and productive. 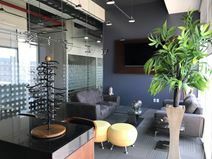 Situated in one of the fastest growing commercial areas of Queretaro, an area of Mexico known for its infrastructure, this business centre provides multiple options for tenants from co-working designed to help businesses and professional clients collaborate within either private or open and collaborative, fully furnished office space. The area features prominent amenities and sites of public interest as well as some of the region's best and most effective transport services, connecting the district with the surrounding areas with ease. Situated in a lively and affluent sector of Mexico City, this business center provides an ideal combination of offices with high-spec IT, telecoms, security and business support services, along with a reputable corporate address and flexible terms. Strategically located in the most important industrial corridor of the state of Querétaro and with stunning panoramic views this state of the art and phenomenally equipped office building is just over half a mile from Centro Sur and only 18 miles from Queretaro´s Intercontinental Airport. In addition to these excellent transport links, the immediate area provides a bountiful array of local services and amenities, making the center ideal for tenants for more than just the fantastic on-site facilities provided. 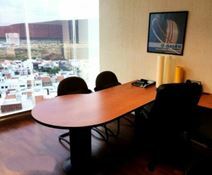 Conveniently located in the heart of Queretaro's central business district, this modern building consists of offices and meeting rooms, fully furnished to a high standard and technologically equipped to offer you a highly professional working environment. Provided with a full range of services, these offices are surrounded by leading companies, offices, restaurants, luxurious hotels, shops and banks.